Restricted to registered family members. 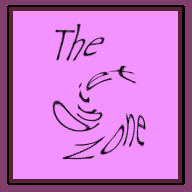 If you have a username and password, log in to see the other Quiet Zone websites. You can use your Genealogy login here - there is no need to re-register. Note that you can see non-living family members on the Genealogy sub-website without registering - go to thequietzone.com/genealogy and click on 'Enter as guest'. Otherwise register with the Family Quiet Zone to see our Genealogy and other goodies. Give information in the Comment section of the registration form to show your family connection.